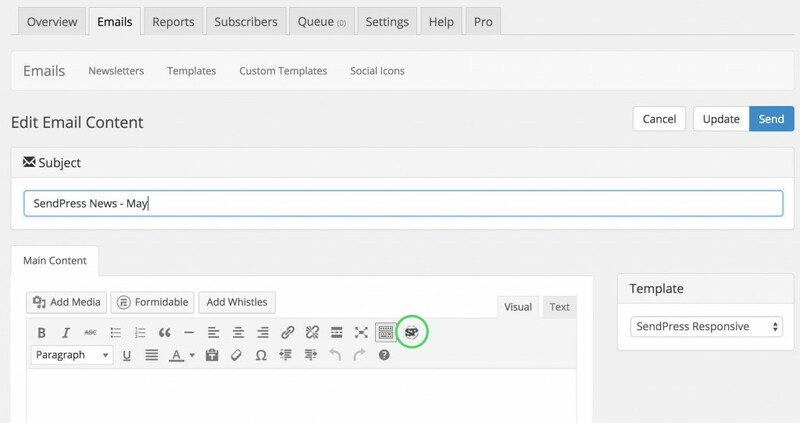 When you are editing your email content (as in the screenshot below) all you need to do is click the SendPress icon in the WordPress toolbar and a dialog box will open up allowing you to search for any post. 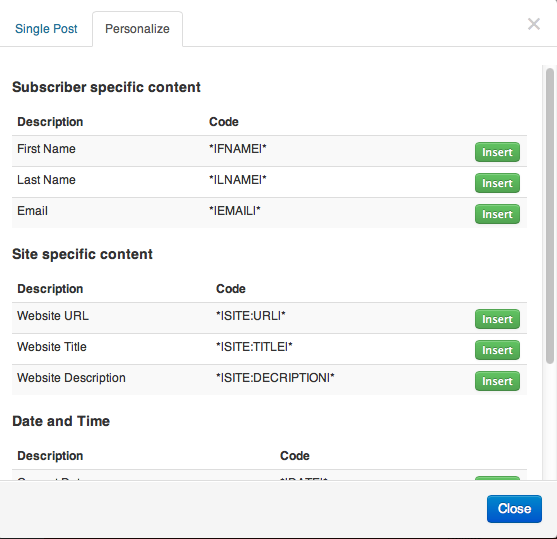 You can also personalize the email messages using the personalize tab on the same dialog box you accessed by clicking the SendPress icon. For example, if you wish to personalize each message with the first name of the subscriber, insert the first name option at the top of your message.